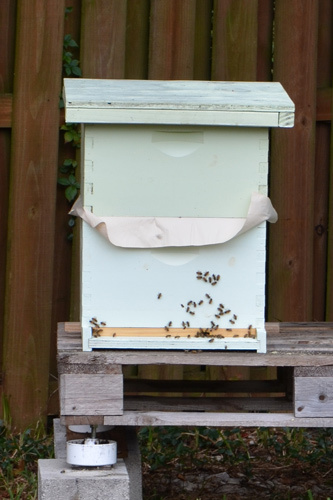 This entry was posted in Bee Management, Swarming and tagged feral bees, feral swarm, hive combination, Swarming. I’m a relative newbie, so I’m probably wrong here, but I like feral bees and I think I would have kept that queen. But then you are down in Florida. You have to worry about Africanized bees. In my two year experience, I’ve always used swarms to populate my hives. The ‘heavies’ in my bee club recommend killing the queen from the swarm, and replacing her with a ‘known’ queen, but I like the idea of letting the hive mentality figure out what to do with the queen and replace her if necessary. Well, like I say, I could be wrong. We have tried that in the past (keeping the swarm queen) and it has never worked out well for us. Yes, we do have to worry about Africanized bees here. 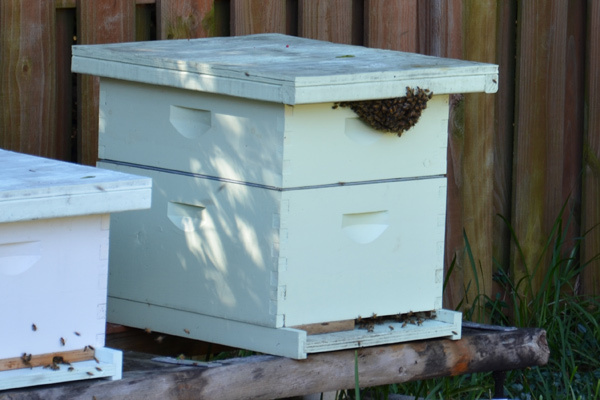 The times that we had kept wild queens, the hives usually turned aggressive on us and/or the queens were not producing well. 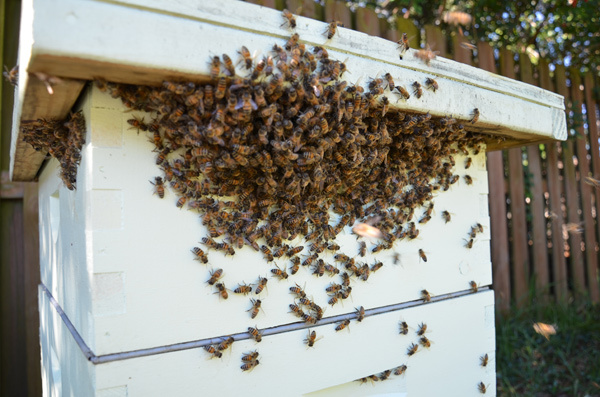 Africanized bees swarm much more often than European honey bees, they can swarm more than 10 times per year, so those hives never become strong. Another sign that this could have been an Africanized swarm was the size of the swarm, it was a small cluster. The state of Florida also has a management program in place that we agreed to follow with our most recent hive registration which discourages keeping wild swarms and queens, and re-queening anytime you find that your marked queen is missing. This program is designed to dilute the Africanized population. It was lucky you were around and spotted the swarm. I’m sorry about your hygienic queen. It is an interesting tactic for the wild bees to hijack a hive. I suppose they are attracted to the ready made store of honey rather than having to start form scratch in place of their own. Yes, they are probably attracted by the smell of honey and the other bees. Losing our good queen is always the saddest part.